Behind the scenes is winemaker, Ken Wright, responsible for Panther Creek Cellars, Ken Wright Cellars and co-founder of the non-profit organization, Salud! Interestingly, Wright and the Becks share a commonality far removed from the Yamhill-Carlton AVA where Angela Estate is located. Wright’s fledgling passion for fine wine began in Lexington, Kentucky where the Becks own Gainesway—a thoroughbred stallion farm. British racing driver, Lars Viljoen, sported the Angela Estate-sponsored car at the 2016 Rolex 24 Hours Endurance Race at Daytona. Photo supplied. 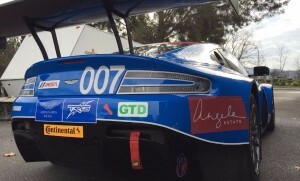 Although British racing driver, Viljoen, was not at the podium at the end of the grueling race, Angela Estate’s bold move to go where few wineries (if any) have gone before is indicative of Antony Beck’s pioneering lineage. 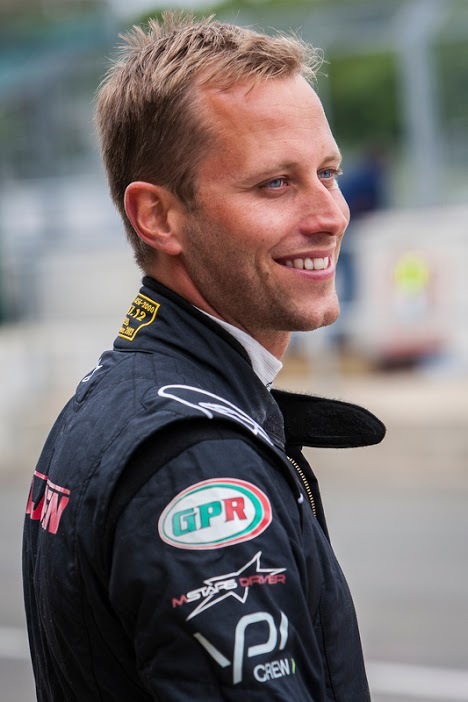 The South African-born son of Graham Beck, he continues to oversee his father’s legacy near Cape Town as well as his own Oregon winery. Wright made beauty from a difficult year. 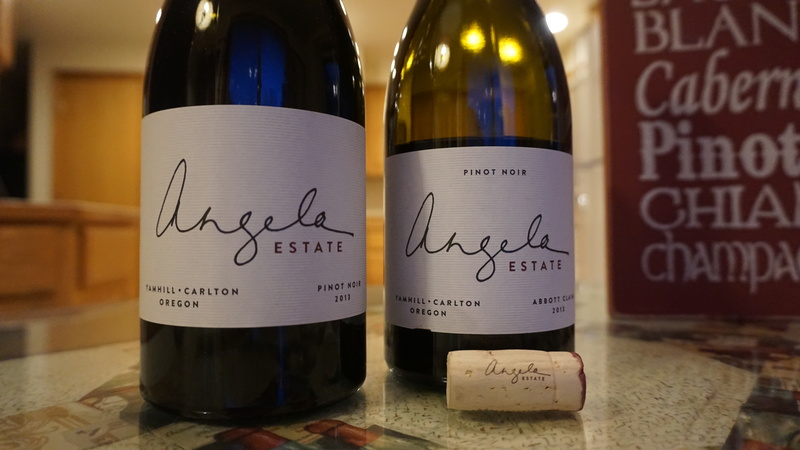 The 2013 vintage of Angela Estate “Abbot Claim” and Pinot Noir are elegant representations of why Willamette Valley pinot noir has gained international recognition. Admittedly, the “Abbot Claim” took some opening up but, wow, did it open. Plenty of earthy characteristics combined with a refined structure, spice components and bright cherry notes. The fact that it didn’t open up right away, to me, only means it’s going to age beautifully. The Pinot Noir was pure bliss from the first pour; plenty of delicate tannins and a racy acidity that demonstrates how pinot noir can hold up to red meats as well as it accompanies a portabello mushroom and wild-caught salmon. Viljoen might not have made it to the winner’s circle this time around but Angela Estate pinots will linger on the palates of racing fans for some time to come. 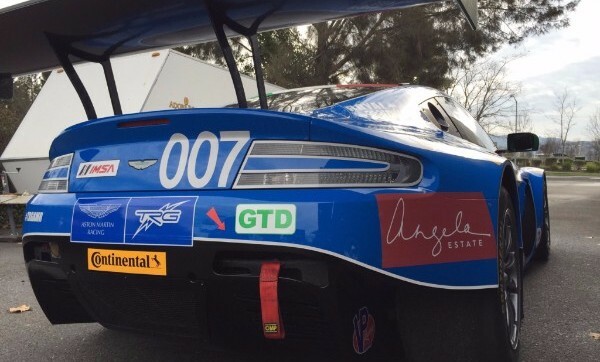 Angela Estate Winery Gainesway Graham Beck Wines Ken Wright Cellars Lars Viljoen Panther Creek Cellars Rolex 24 Hours Endurance Race at Daytona TRG-Aston Martin Racing team Yamhill-Carlton AVA ¡Salud!